The art teacher, Dave, carried the hulking box in from his classroom. Two feet by two feet, he propped his burden on the table just before my ninth graders came rushing in. Carefully, with caught breathe, we pulled the four prints out of their carrier one at a time. Unwrapping the thick parchment from the frames, I stood there silently. These prints were two hundred years old! We were not in a museum...we were standing in my 2:25PM class. 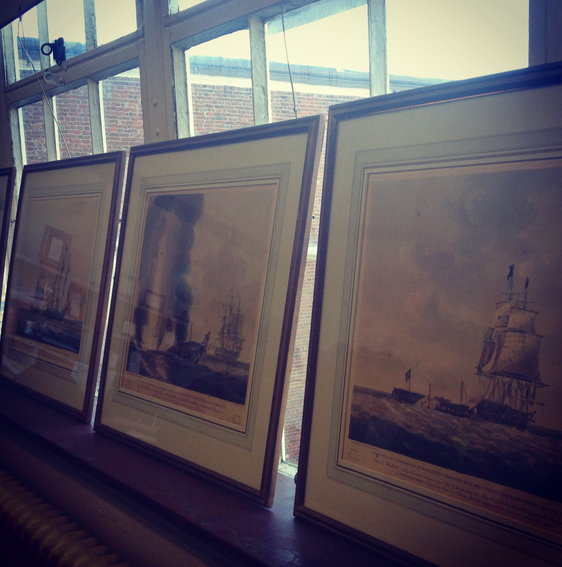 We propped these commemorative prints up along the window and waited for the students to arrive. It is funny how family history works. As my students and I began studying the War of 1812 together this week, a parent of the class reached out to me. "Did you know, that our family are direct descendants of Henry Ducie Chads?" It took me a moment to place the name. What?!?! 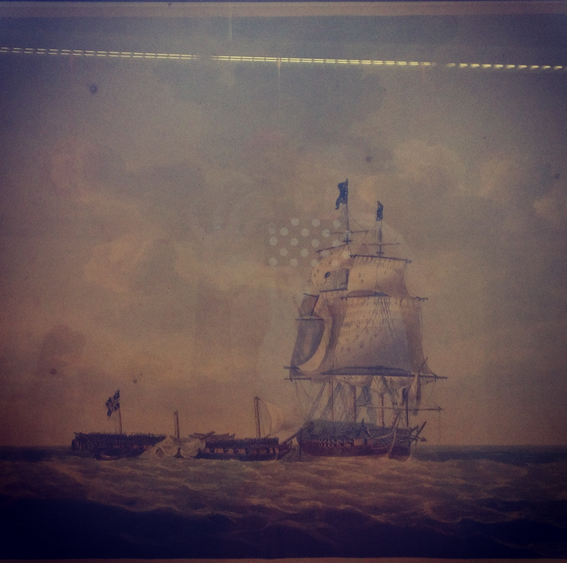 You are direct descendants of the Captain of the HMS Java which fought an incredible battle against the USS Constitution in the War of 1812 (a turning point battle that challenged England's preeminence on the high seas and helped solidify the name "Old Ironsides" for the USS Constitution!!) At first, I thought this was just an impressive lineage, but then she offered to help set up a private tour for the class to the USS Constitution since this year it is part of the 200th anniversary of the war and she asked if we would like to have 4 original prints commemorating the battle come to class for an afternoon. Oh and during our tour, she invited a descendent of the USS Constitution's Captain Bainbridge to join us..and he said yes! SERIOUSLY!?! I am going to nerd out here but I could not believe that an opportunity like this presented itself to my class! So there we were today getting up close and personal with 200 year old history in our classroom. We learned about the prints origin, discussed why a British family would want to commemorate a battle loss, and narrated our way through the four chronological prints of the battle scene. It was SO cool!! Next week we will be going to the USS Constitution during class time. I cannot tell you how giddy I have been over this connection, opportunity, and living history! Who knew history could be this exciting....well yes, I suppose I did, but it is so fun to see my students start to think that too!